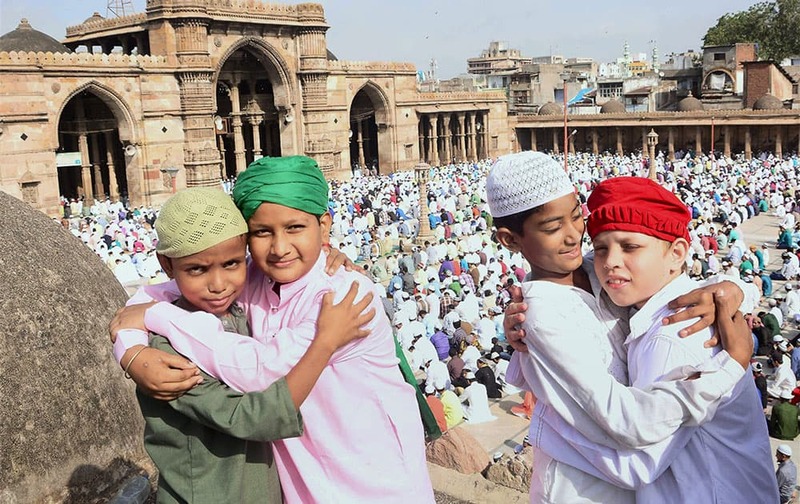 Children greeting each other after offering prayers on the ocasion of Eid-al-Adha at Jama Masjid in Ahmedabad. 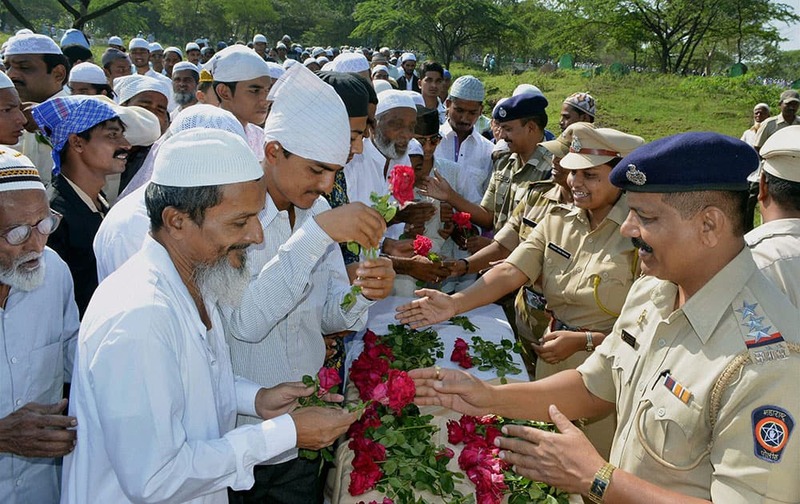 Police officers giving roses to Muslims while greeting them on the occasion of Eid-al-Adha in Karad. 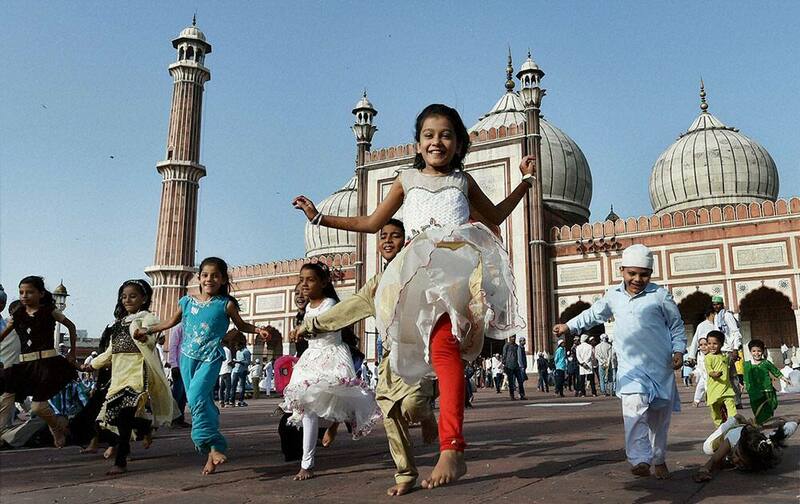 Muslim children jubilate at Jama Masjid on the occasion of Eid al-Adha at Jama Masjid in New Delhi. 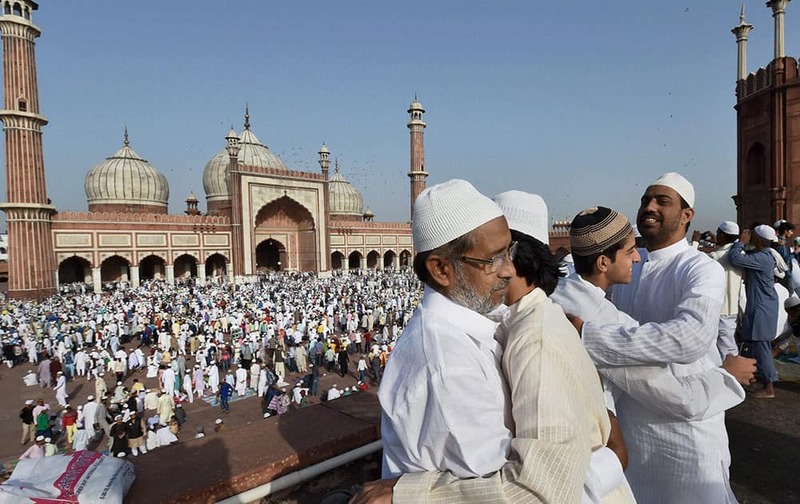 Muslims greet each other after offering prayers on the occasion of Eid al-Adha at Jama Masjid in New Delhi. 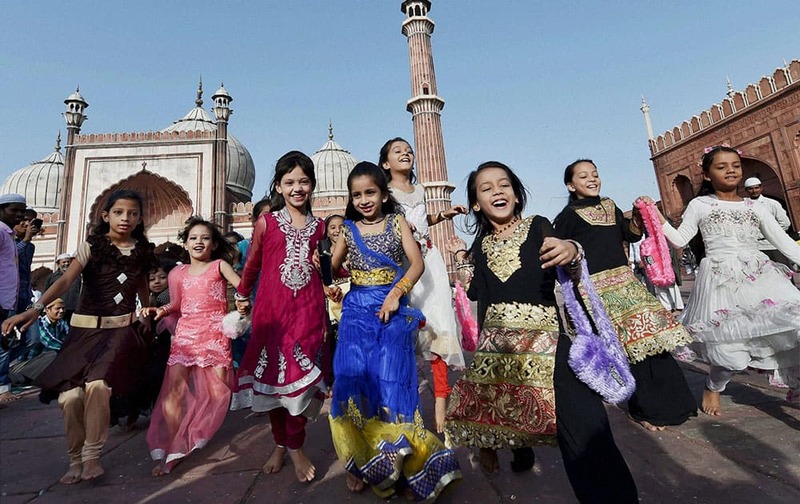 Muslims offer prayers at Jama Masjid during Eid al-Adha in New Delhi. 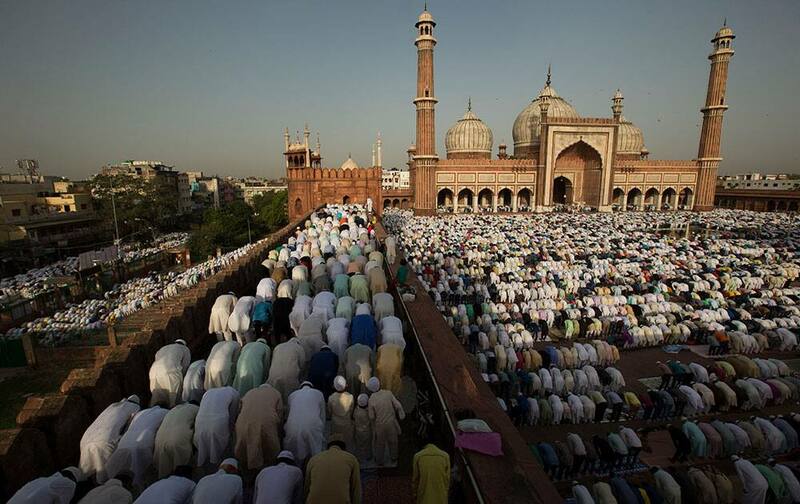 Muslims offer prayers at the Ferozshah Kotla mosque during Eid al-Adha in New Delhi. 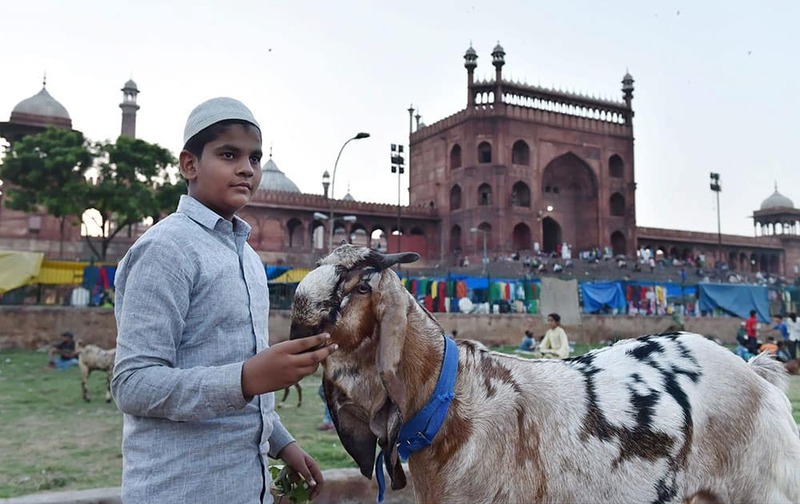 Goats on sale at a market near Jama Masjid during the festival of Eid al-Adha in New Delhi. 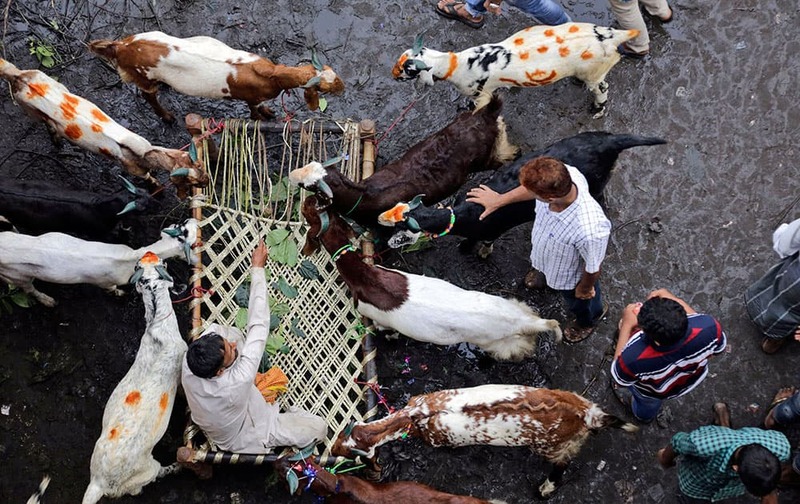 A vendor sits on a cot surrounded by goats, as he negotiates price with customers at a live stock during the Muslim festival Eid al-Adha in Kolkata. 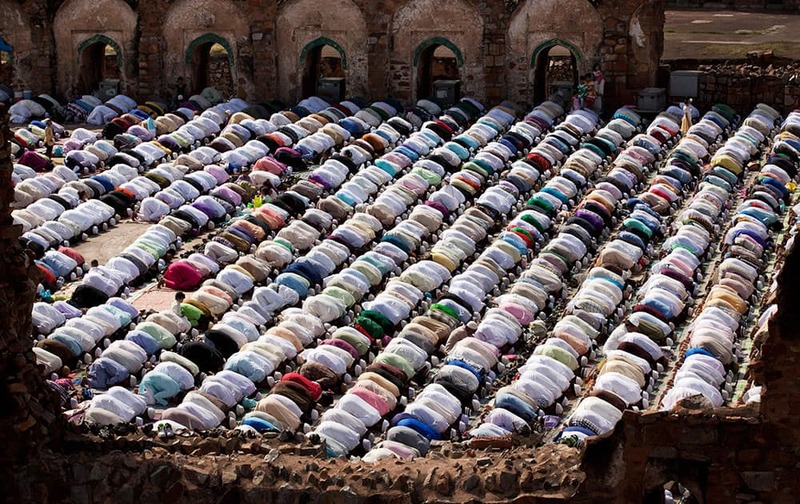 Worshipers attend a sermon during Eid al-Adha at the Martyrs Square in central Tripoli, Libya. 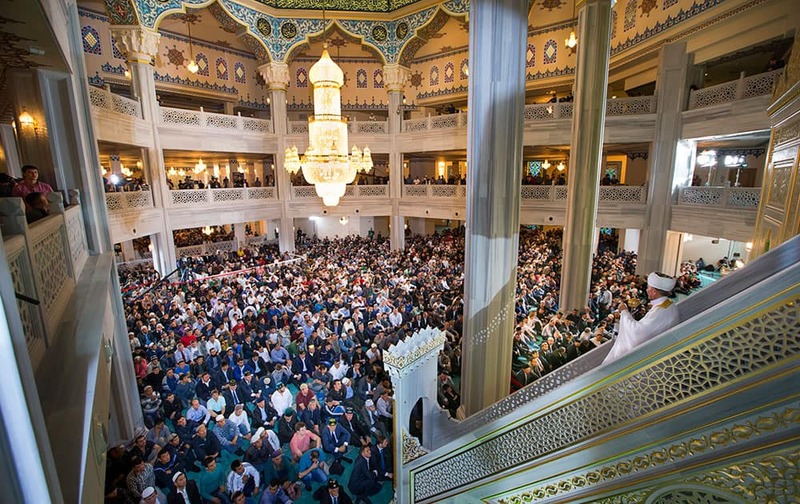 Russia's top Muslim Cleric Ravil Gainutdin, right, conducts a religious service inside the newly restored Moscow Cathedral Mosque during celebrations of Eid al-Adha, a feast celebrated by Muslims worldwide, which Muslims in Russia call Kurban-Bairam, in Moscow, Russia. 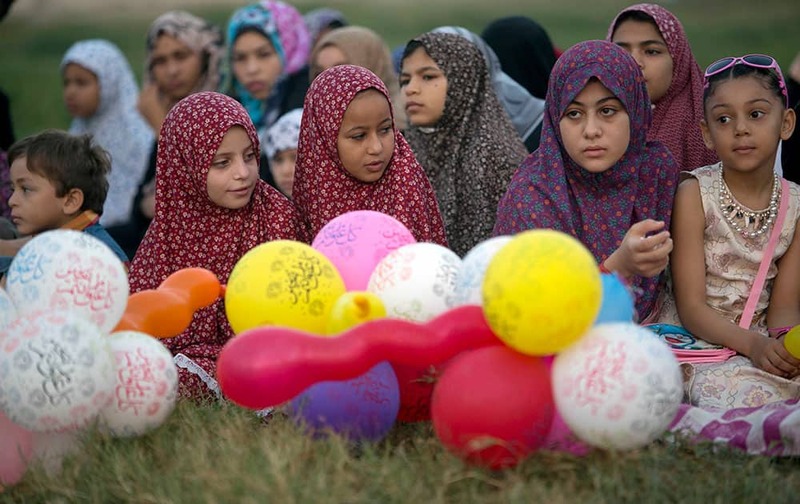 Palestinian girls wearing hijabs take part in the Eid al-Adha prayer in a public garden in Gaza City.